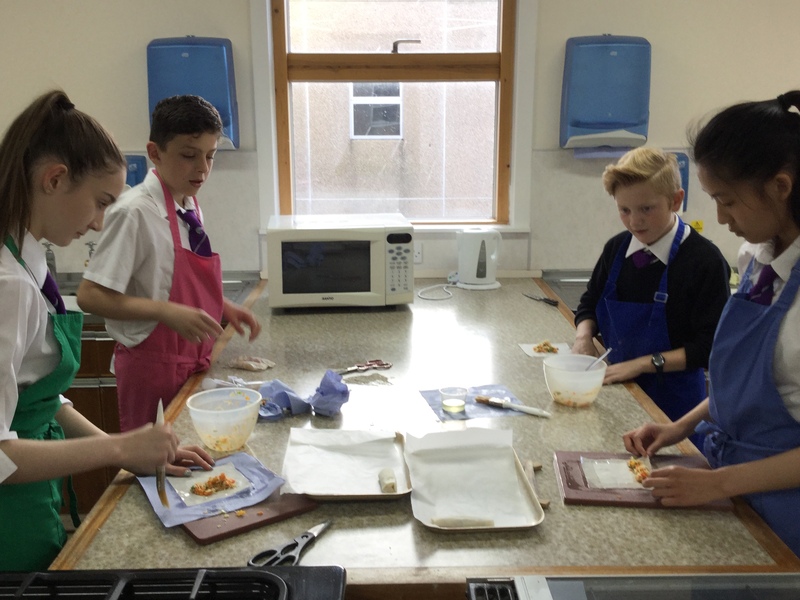 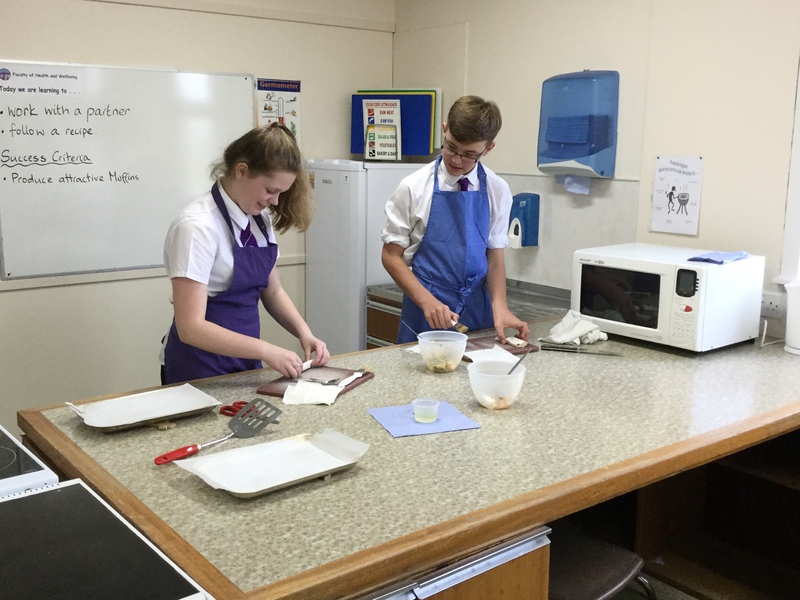 To celebrate the end of term, the S3 Mandarin class enjoyed a trip to Home Economics. 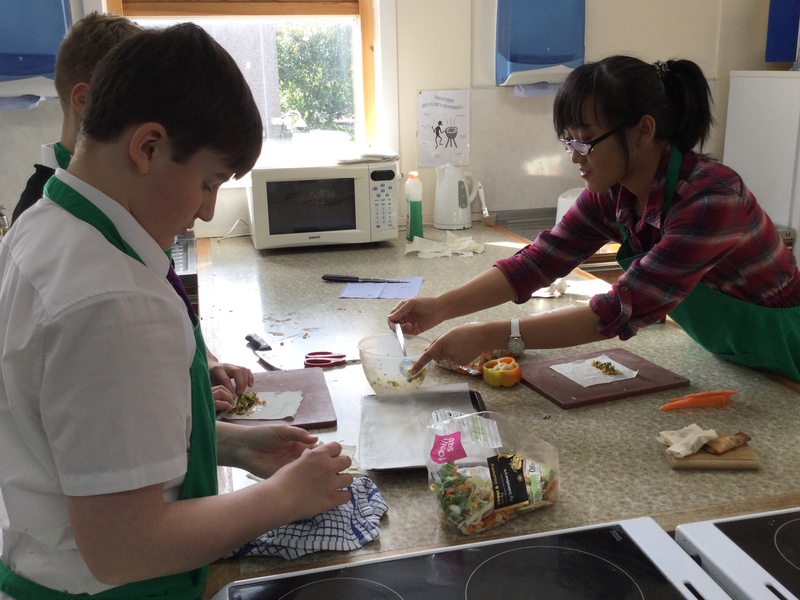 They teamed up with some of their S1 peers to learn how to make spring rolls, or 春卷 (chun juan) as we call them in Mandarin. 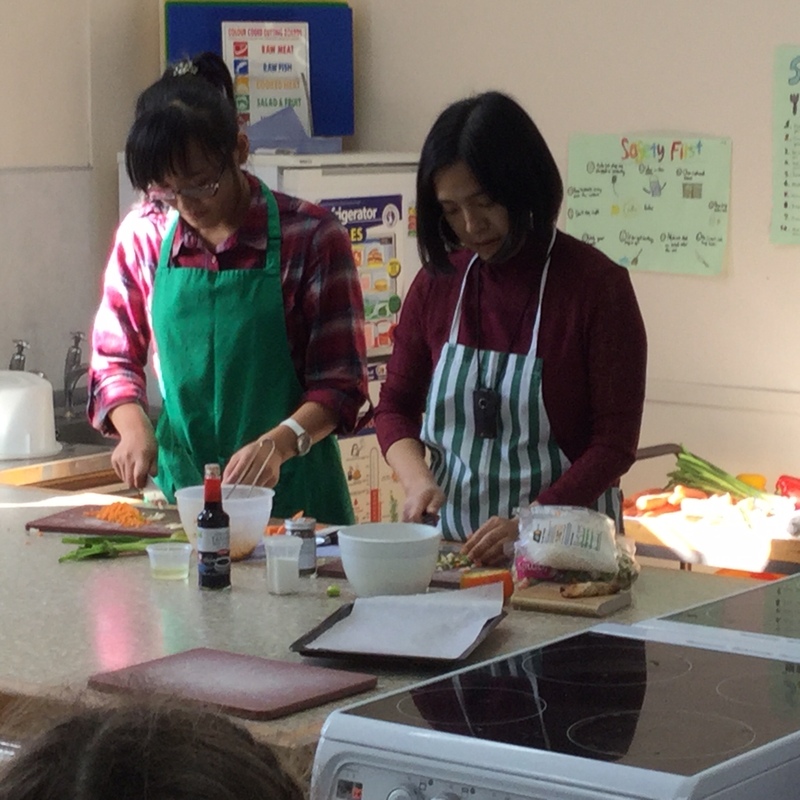 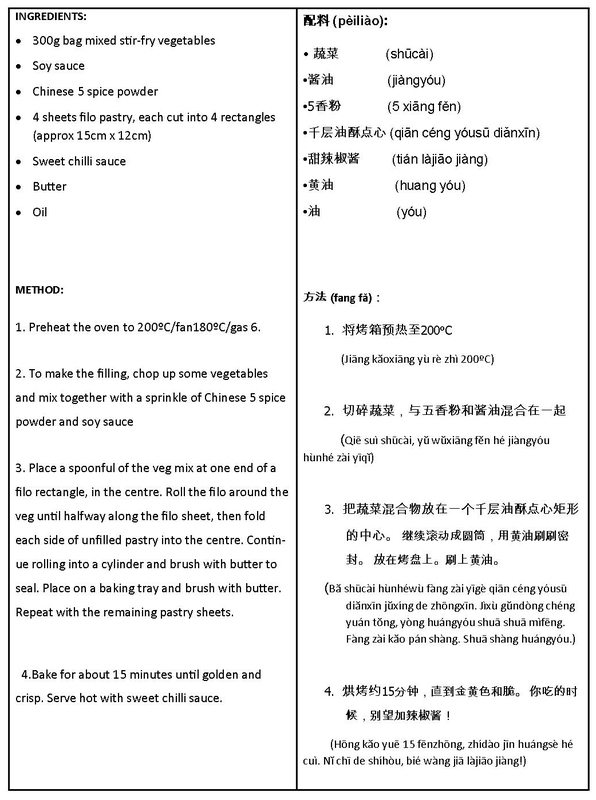 We had two Chinese volunteers leading the demonstration of the Chinese cooking – one was Chen Chen who helps with S1 and S2 Mandarin classes and the other was Maggie Yan who helps with S3–S5 Mandarin at Oldmachar.